A range of virtual (VR) and augmented reality (AR) based systems have been developed as novel and relevant tools in neurorehabilitation, allowing the implementation and exploration of rehabilitation treatment tools to complement and improve upon traditional methods. In this special issue both medical and engineering aspects of these tools will be addressed in order to explore which type of solutions or research trends are currently active in this field and can support and/or extend current clinical and home-based rehabilitation practices. Original papers presenting development studies and evidence for the effectiveness of technologies, devices, specific applications, and treatment methodologies will be in the scope of this special issue. 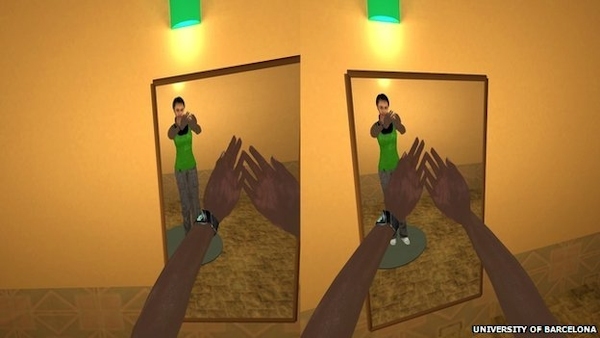 Can virtual reality be used to tackle racism? It’s an uncomfortable truth but scientists say most people have an ingrained racial bias. Now a team has shown that a short stint in a virtual world could reduce it, but could this have a longer lasting effect? Racism is an issue that still pervades many societies. In England and Wales, there have been 106 fatal racist attacks since the killing of teenager Stephen Lawrence in 1993 according to the Institute of Race Relations. It also reports thousands of racist incidents recorded by the police each year. The issue is complicated by the fact that many biases are ingrained over long periods of time. An app that helps people overcome arachnophobia has been approved by NHS England to feature on its app library. 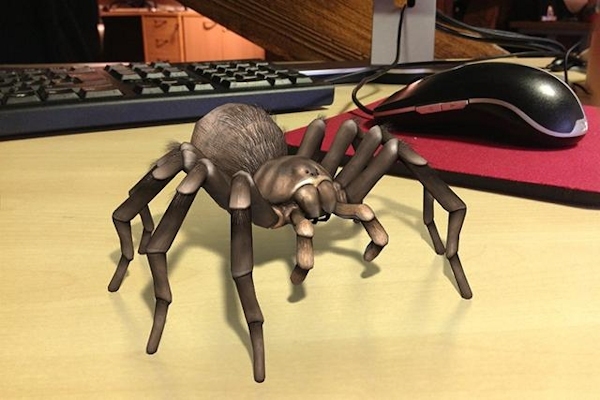 Phobia Free, designed by Virtually Free, helps to tackle people’s fear of spiders by exposing them to more and more realistic spiders over time, progressing from cartoon spiders all the way up to an augmented reality tarantula that looks and behaves like the real thing. When interacting with the physical world around us we easily carry out small activities in our background or periphery of attention. Peripheral Interaction tries to transfer this to interaction with digital devices, to better embed them in our daily routines. This new interaction paradigm is based on diverse research areas (e.g. ambient information, implicit interaction, ubiquitous computing, calm technology) and addresses researchers, engineers, designers and practitioners in a number of disciplines. This one-day workshop will start with a keynote by Albrecht Schmidt entitled “Creating Seamless transitions between Central and Peripheral User Interfaces”. Through discussions, hands-on explorations and experiences, we aim at shaping the field of Peripheral Interaction based on both high-level discussions and practical interaction level experiences. In everyday life, we are able to perform various activities simultaneously without consciously paying attention to them. For example, we can easily read a newspaper while drinking coffee. This latter activity takes place in our background or periphery of attention. Contrarily, interactions with computing technology usually require focused attention. With interactive technologies becoming increasingly present in the everyday environment, it is essential to explore how these technologies could be developed such that people can interact with them both in the focus and in the periphery of attention. This upcoming field of Peripheral Interaction aims to fluently embed interactive technology into everyday life. Robots could soon be operating on beating human hearts while a surgeon based in a different part of the world directs the procedure remotely, according to a designer working on a new generation of medical equipment. 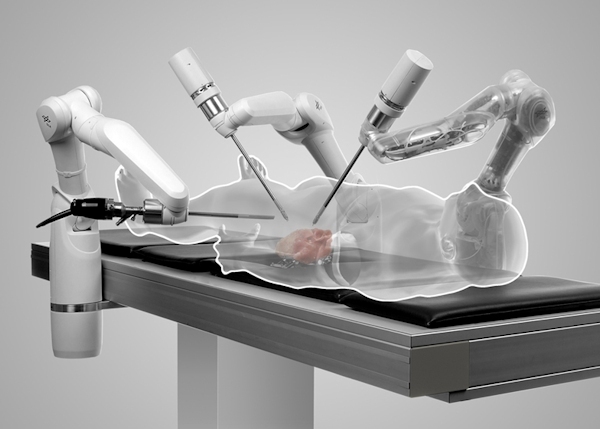 The surgeon would see a static heart on a 3D screen and the robots would attune themselves to the heart’s movement, overcoming many of the risks of existing heart surgery techniques. Watching celebrity chefs like Nigella Lawson or Gordon Ramsay whip up a culinary creation on television can set viewers’ taste buds tingling. But now television viewers could soon be able to sample the food for themselves with the help of new technology that can electronically recreate tastes. The Digital Taste Interface also uses subtle changes in temperature to alter the taste experience. The researchers hope that the system could eventually be used to allow television viewers to experience tastes while they are watching their favourite programmes. 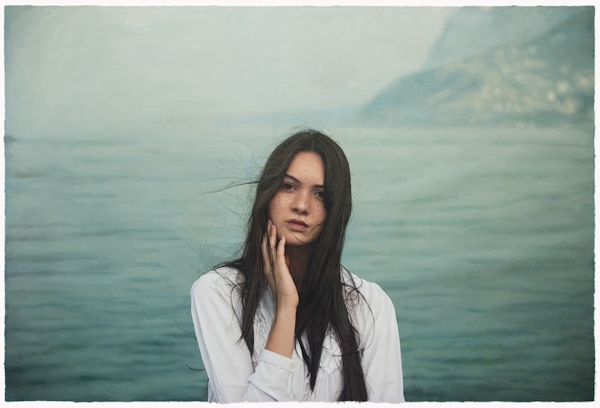 [Image: Page 222 – Yigal Ozeri. Untitled; Aquabella. 2011. Oil on paper, 42 x 60″. Courtesy Abrams. Louis K. Meisel likes to let you know that he doesn’t care for famous graffiti artist Jean-Michel Basquiat’s paintings — which sell for millions of dollars — because he thinks they don’t show much skill. What Meisel does like is a genre of painters called the Photorealists. They’re painters who take photos and then create realistic copies of the photos on canvas.